I’m thinking of buying one. Do you have one? Brand? Heated or not? Do you like it? What do you use it for? Pros and cons of the one you have? Recommendations please =) thank you for time. My problem is for 75$ there are a million of them out there I want something that works well. 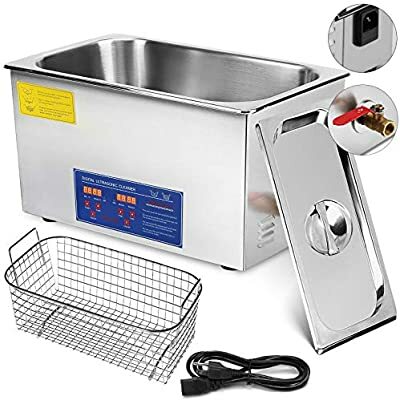 Works great for mixing certain types of paint and cleaning GF jewelry but as far as anything to do with our craft, I’d say NO. I bought a magnetic mixer instead. I concur with what @AlanS said. I have the same one pictured. I use warm tap water (w/o nic added) Although subconsciously I kind of doubt that it does anything for steeping I have convinced myself that it does work. It also works extremely fast at dissipating micro bubbles caused by my hand-held ghetto mixer. Atomizers yes but for e liquid not for me. My problem is for 75$ there are a million of them out there I want something that works well. make sure that it has a timer that does at minimum a half hour (and preferably an hour or more). 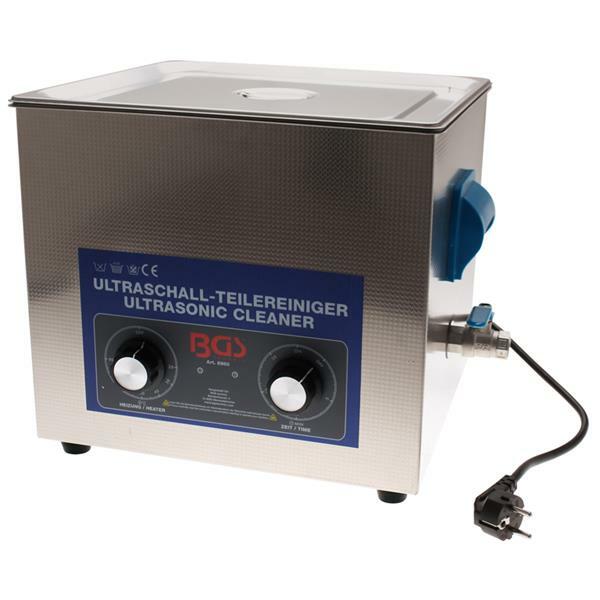 The above pictured unit is a 1qt professional ultrasonic. 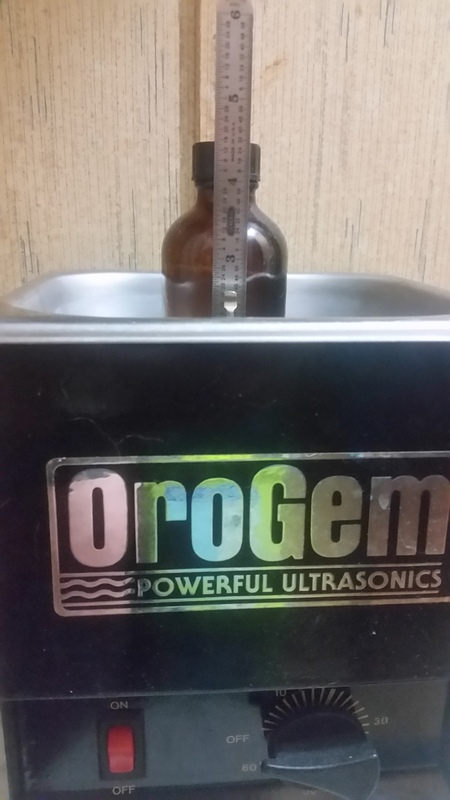 And while it’s not ideal for 120ml (it would be preferred to have the water up to the neck line of the bottle), due to the high strength of the the USC waves in this unit, it still works with 120’s. I use both heat and USC waves with no adverse effects. I can fit multiple 30ml bottles with no problem (up to the neck line on the bottles). I can’t recommend any current model units as I have no experience with them. But hopefully the above info will help with what to look for (in reviews or specs). Also, regardless of whatever unit you finally choose, verify the operating temperatures. IE: about 30 minutes after you have had the heat on, take a temp reading with a thermometer. Again after an hour of heat on. 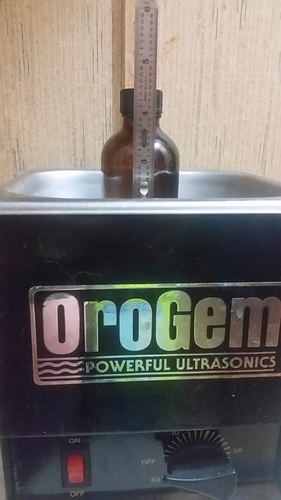 Once you have a baseline for the heater itself, then establish a baseline for the heat that the ultrasonic will add. (It shouldn’t be that much, but it is worth knowing the maximum [total] heat that your unit can generate before putting your mixes into it IMO). Hope this helps, and good luck with your search! I have one of these 25€ ones from amazon. My neighbor used to clean her glasses with it but to be honest, it’s not good enough. It works OKish if something is just dirty, like the gaps on the outside of a tank. It is a pain you can only set it to 8 minutes or something. We had one at work to clean plastic injection molds. Now THAT I would buy but I can only guess it was quite expensive. You stick your finger in further than half an inch and it becomes really painful (but of course you have to try when you’re the apprentice) There was barely any dirt it couldn’t get off after 30 minutes. Sorry to go off topic, but can it be used to clean a plastic Nightguard?Not the cheapo drugstore stuff, but the custom molded dentist one? I would say yes, isn’t that what dentists are using anyway? Yes, that’s one of the many uses I have for one. I’m debating if I should try cleaning some of my squonk bottles in the USC. Does anyone know if that type of material is safe? Anything else I’d suggest caution (and monitoring closely, if you try). silicone doesn’t survive a usc? I have to try that! Sounds like fun. Any explanation? I would have thought that it was no problem because… because it’s silicone! Doesn’t it just wobble the energy away somehow? Does anyone know if that type of material is safe? Yes, I’m pretty sure. There are very few things that will harm silicone.